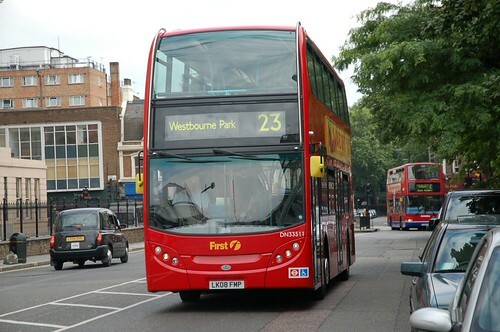 One early journey and two late journeys projected from Ladbroke Grove to Ealing Broadway - all journeys ex Route N23. 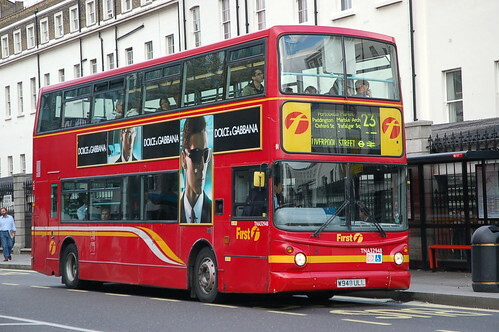 Evening Route converted to OPO - buses ex Route 18. 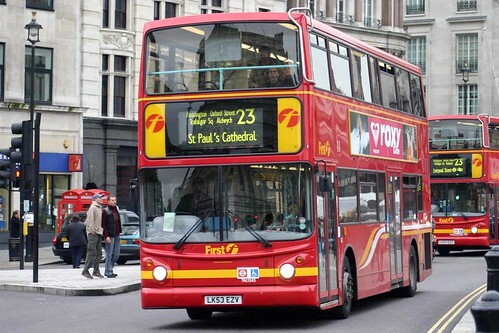 Sunday Route increased to compensate for loss of Route 15 between Ladbroke Grove and Paddington. 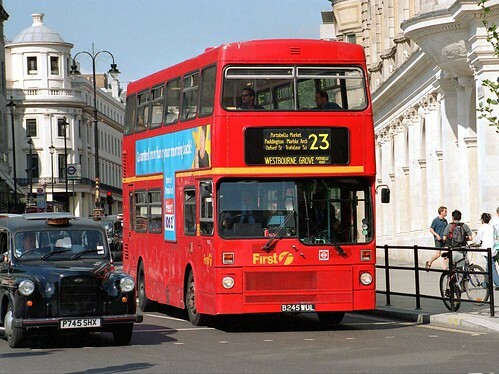 The Ealing Broadway journeys renumbered N23. 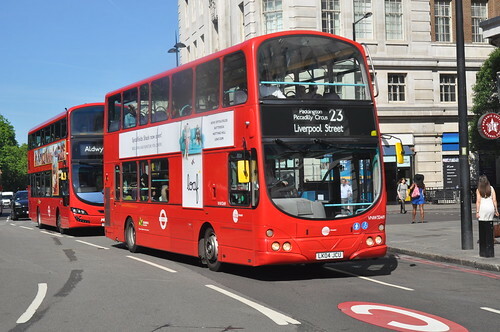 OPO part of Route converted to low floor operation. 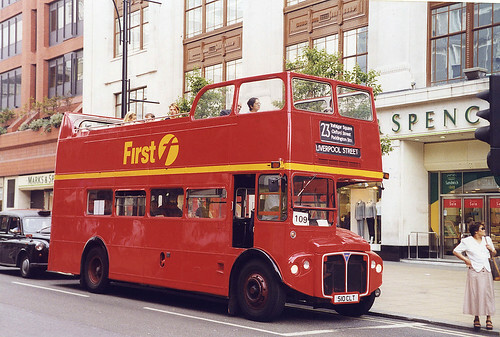 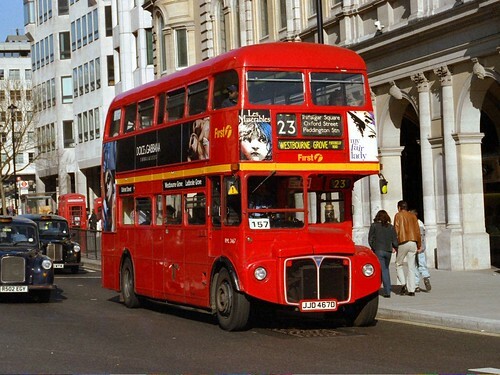 Crew operation withdrawn - thus Routemasters withdrawn. 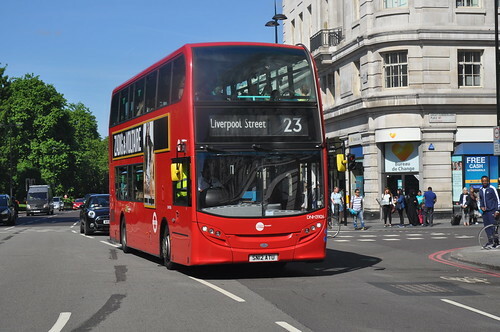 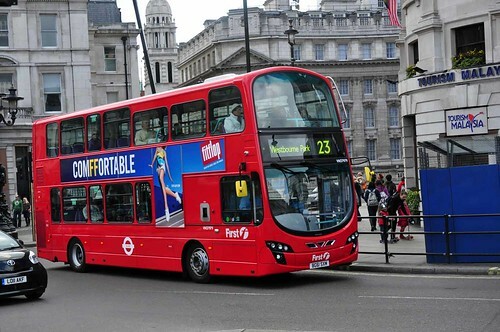 Extended Saturday and Sunday from Aldwych to Liverpool Street as per Mon-Fri.
MV38235 seen on Route 23 at the Aldwych, these buses were intended for the take up of Route 13 but were used on the 23 beforehand to " break them in "